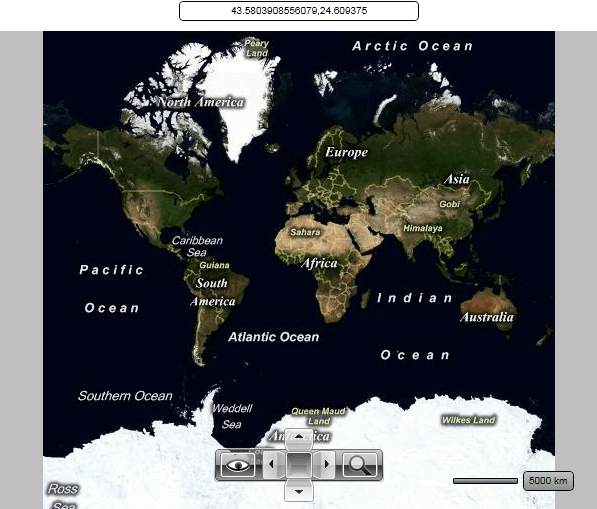 The RadMap uses an UI control to display the current mouse location on the map. It displays the latitude and the longitude of the mouse position. The UI control is represented by the MapMouseLocationIndicator control. You are able to use it outside the RadMap and place it somewhere around it. In this case you have to either hide the original one by using the MouseLocationIndicatorVisibility property of the RadMap or the UseDefaultLayout one.